Is there anything better than the classic combination of great beer and great food? The answer for most of us is, of course, nope! Ontario&apos;s Southwest has been making a name for itself on the craft beer scene and to make things even tastier, countless breweries also offer fresh cuisine that&apos;s as good as their brews. Whether you want a full meal or a savoury snack to go along with your beer, you can enjoy the full culinary experience across Ontario&apos;s Southwest. Have a FULL Filling Brewery Experience! Toboggan Brewing Company in London is a perfect example of high-quality craft beer paired with local cuisine. Known as the 519 Kitchen, Toboggan Brewing Company focuses on using locally sourced ingredients from the region. Toboggan is also known for utilizing seasonal ingredients in their meals such as fresh asparagus whenever possible. The menu here lists a wide variety of tacos, salads, sandwiches and a favourite of regulars, wood-fired pizzas,. You even have the option to create your own custom pizza or choose from one of several traditional and modern types. 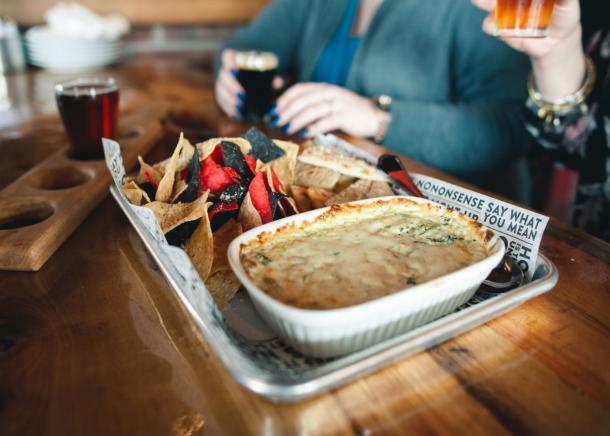 Bayside Brewing Company is another great option for culinary lovers. Over the years, Bayside has become a popular tourist attraction in Erieau thanks to its&apos; premium craft brews, delicious food and gorgeous patio overlooking Rondeau Bay. 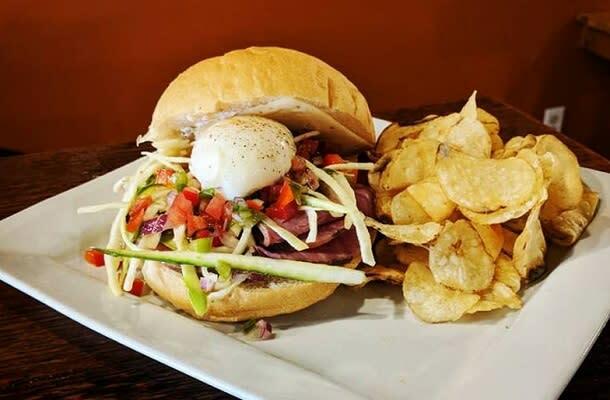 Utilizing locally sourced ingredients, Bayside Brewing Company has built a strong reputation for their wide assortment of foodie fare. The fresh haddock fish and chips tend to be the crowd favourite here, but on the menu, you can also find a variety of brewpub foods including wood-fired pizzas, sandwiches, burgers, wraps, salads, and apps. You don&apos;t have to go far to find unique craft breweries with enticing full meal options no matter what part of the region you are in. 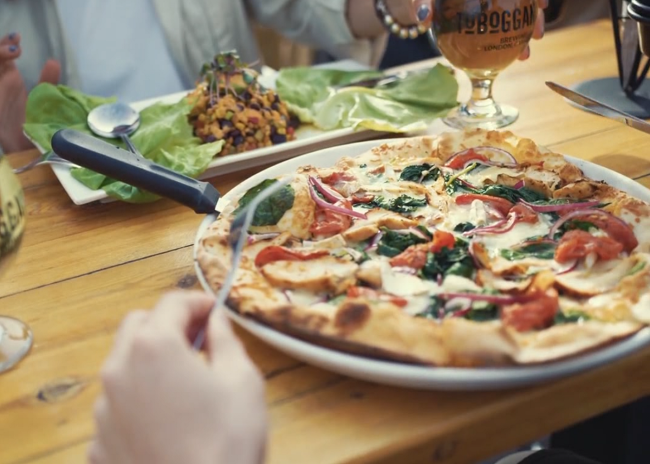 With casual dining environments and large restaurant style menus, the following craft breweries also offer tasty meals to go along with their signature brews. It&apos;s okay if you don&apos;t quite have the appetite for a full meal. If you&apos;re anything like me then you just like to have a snack or two with your cold beer. Luckily, more breweries are starting to offer small in-house made foods, snacks and appetizers. Chicken wings, chips, pizzas, and sandwiches are the finger foods that tend to pair perfectly with the region&apos;s most popular craft brews. Brew Microbrewery in Windsor has become a popular destination for travelling foodies and craft beer lovers from all over. 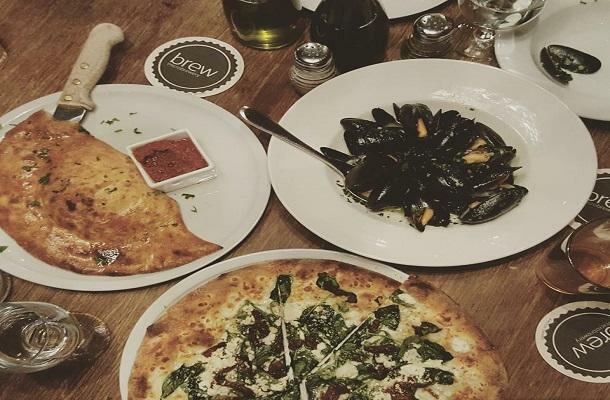 Brew is notorious for its onsite kitchen, which prepares cheesy stacked nachos, Brew Haus pizzas and pretzels to be paired up with your craft beer of choice. 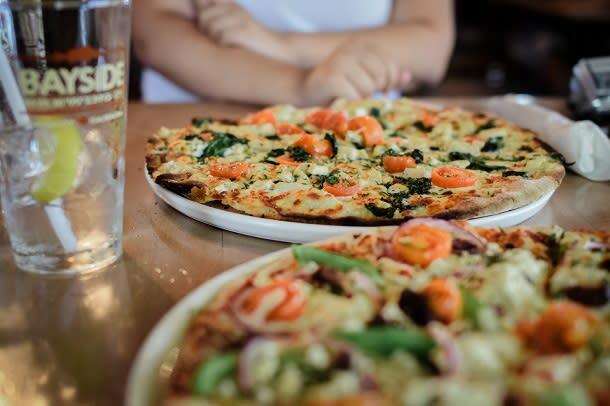 The Brew Haus pizzas are a popular pick and are made with a barley-based dough along with other ingredients that are locally sourced. You can&apos;t visit Brew without trying their big Brew Haus Pretzel. This handmade snack, which pairs perfectly with their Proper Lager, is baked with Robbie&apos;s gourmet sausage in mustard and finished with brew brined sauerkraut. Rusty Wrench Brewing Company is located in Strathroy and has already received a lot of attention for their craft beer and local food. Rusty Wrench prepares all meals in-house with a focus on health, well-being and dietary sensitive flexibility. Some general appetizers include chips and salsa, soup, and charcuterie. Additionally, if you&apos;re looking for something more filling and unique, you&apos;ll have to try the beef and havarti sandwich. This popular snack comes loaded with slow braised pulled beef, dijon mustard, and horseradish cream. There&apos;s even fresh havarti and gravy are served on the side. Well, are you hungry yet? With over a dozen craft breweries serving food, you have plenty of options whether you prefer an appetizer or a full meal with your beer. As the craft beer industry continues to grow in our region, keep an eye out for new and current breweries to start offering fresh cuisine along with their unique brews. Still thirsty? Click here for more information on all things Beer & Cider.